Men’s basketball head coach Chris Mack went straight to work after a first-round exit in the NCAA Tournament. For the second straight year, he has recruited a talented graduate transfer point guard: Lamarr “Fresh” Kimble. 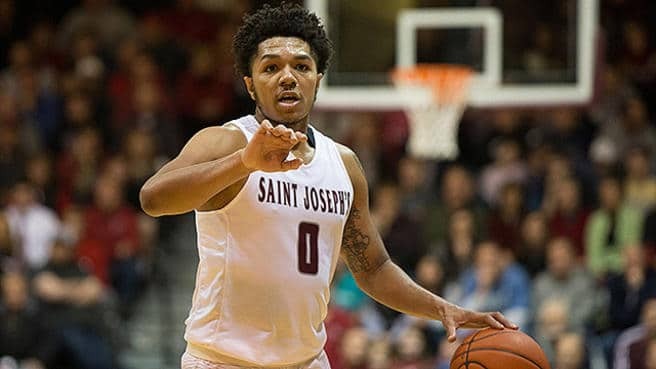 Kimble announced earlier today that he is departing St. Joseph’s to play his final season of eligibility at Louisville. The Philadelphia native suffered a fracture in his left foot during the 2017-18 season, leading him to redshirt and providing that extra season of eligibility. One of the biggest question marks following Louisville’s season involved the replacement of graduate transfer guard Christen Cunningham, who became stalwart leader of the backcourt. Look no further than Kimble as a replacement, who posted fantastic numbers for the St. Joseph’s Hawks. Kimble’s shot-creating ability, with and without the ball, prove to be among his greatest strengths. This past season, he led the Hawks with 15.6 points per game and ranked second on the team with 2.8 assists per game. Though his foot injury limited him to just one game in the 2017-2018 season, there is nothing holding Kimble back from a successful run in Louisville. He averaged an underwhelming 40 percent shooting from the field last year, but that can be contributed to his heavy workload as the team’s primary ball handler. Kimble should have no problem increasing that shooting percentage, along with guiding the Cards through strength and playmaking. Just as with Cunningham, coach Mack is expected to get the best out of Kimble and build upon his already impressive resume. Lamarr Kimble’s first official game as a Cardinal will come in the season opener against the Miami Hurricanes on November 5.